RATING: 3/5 [in the genre] or 5.5/10 [all books I’ve ever read]. FOR: People who would have liked Twilight if Bella had a personality and the vampires actually drank blood. Teen fans of L.J. Smith and Charlaine Harris. People looking for a fun, quick read. 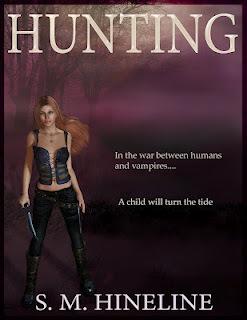 In the war between humans and vampires... a child will turn the tide. Thousands of years ago a goddess cursed a family, every 500 years a child of their bloodline would be born a vampire. This child would mean the survival or destruction of the vampire race. And each would do anything to find the child first. Jade knew nothing of the curse, but when a vampire princess calls, you answer. Now she must do her best to help find the child and save it from the humans who would see it dead. And if that weren't enough, the princess' cousin, in an effort to show her unworthy to lead their people, is doing everything in his power to stop them. Even if that means killing them all. If it’s not obvious after reading a few of my reviews, I’m picky. I’m not that blogger who gives something five stars just because I liked reading it. I even made a dual rating system to reflect the fact that, when I read a book, I’m comparing it to other books in the same genre that do similar things (my five star rating) and I’m also, consciously or not, comparing it to every other book I’ve ever read (my ten star rating). Why both? Well, because if you love Vampire Diaries and want something similar, you probably don’t care that I didn’t find it as compelling and life-changing as Crime and Punishment. But if I did feel compelled to give it an 8 out of 10 of every book I’ve ever read, that probably tells you that it’s a really damn good book. Says your self-absorbed reviewer, anyway. I preface this because Hunting is the kind of book you might overlook, seeing a 3 star review. The writing is simplistic and a little clunky in places, which would is the main part that dragged down my rating. Because I’m a bit of a snob. And I like tight writing. But damn, does Hineline know atmosphere. She took a subject so saturated in the market that I cringe (vampires, in case you’ve been hiding out in a bunker for the last five years) and turned it into something new, clever, and pretty well thought out. Going back into Egyptian mythology, she crafts a creation myth ala Anne Rice (yep, I invoked the Vampire Queen). Her vampires are out in the human world in their own kingdom. They’re strong. They drink blood. They’re born from other vampires and have a hierarchy based on creation, with born vampires being stronger and more elite than vampires made from humans—a cool new concept that I loved. And they’re tied to this neat ancient curse that requires sharing blood, every 500 years, with a child born of the cursed Egyptian line. See why I thought it was nifty yet? Even though the writing was muddy in places and the plot took a little too long to take off, I really enjoyed it. Even the slow parts. Hineline has this way of describing things that reminds me of the way they used to write old fairy tales or legends. Which may not work for everyone, but for me, it gave the book such a shiny mystical atmosphere that I didn’t feel bored. The characters are admirable, the ending twist is cute, and the sequel has a lot of promise, especially if Hineline tightens up her writing. A cool new take on vampires. Definitely worth checking out. In fact, now that you’ve read this, why don’t you try it? For FREE! Hineline herself has been so kind as to donate two free copies of her book. Just enter the giveaway below and take a chance on this indie horror single! And check out the author on twitter at @Xean007. She’s super sweet.